Here are 20 examples of real estate bios and the tips to learn from them to help improve your own, followed by a template you can use if you’re starting yours from scratch. ”Representing mid-peninsula homeowners and future homeowners specializing in the towns of Menlo Park, Atherton, Palo Alto, Los Altos, Mountain View and San Carlos; Leslie’s creative, enthusiastic, and caring nature is perfect for matching each client’s desires as well as skillfully featuring a home’s unique presence and character. Raised on the Peninsula, Leslie understands the numerous intangible benefits of life in the Silicon Valley with its unmatched weather, culture, and diversity. Leslie joined Sereno Group as her three children approached the middle school and high school years. Educated at Cal Poly San Luis Obispo, receiving a Bachelor of Science degree in Food Science and Nutrition in 1986, she returned to the Bay Area to work as a Diet Technician at a hospital and then went on to excel in pharmaceutical sales with Wyeth Laboratories, covering the Peninsula and San Francisco for ten years. Leslie showcases her homes on her website and utilizes a team of professional service providers such as a photographer, highly regarded staging companies, virtual tour providers, and graphic designers to assist in marketing her client’s properties. Woods shows her community connections through a variety of channels that can relate to potential clients. For example, she includes that she was born in her farm area, she has three children who attend school there, and she is involved with the school district. Be sure to highlight your own connection to your geographic farm area when writing your real estate bio. If you’d like more information on real estate farming, see our article on how to choose and dominate a farm area. “Born and raised in Montauk, Kim Fagerland has witnessed the tremendous change and growth that’s transformed the area into one of the East End’s most sought-after destinations. Returning to Montauk after attending college, she has taken the knowledge learned in a career of management in the Hamptons, Coastal Carolina and upstate New York to segue into Real Estate and building fine homes. Her exceptional knowledge of the market from East Hampton to Montauk Point, coupled with her seasoned insider’s expertise having built, lived in and sold numerous properties throughout the area with her builder husband, make Kim the unequivocal go-to resource for all your real estate needs. 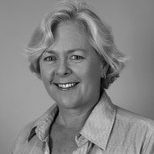 As part of her real estate bio, Fagerland highlights her expertise in building in the area which is a relevant and distinguishing mark for her as an agent. Fagerland clearly knows her farm area when discussing building, given that Montauk has had a resurgence of building particularly in the area of summer homes and second residences. Think about what skills are valued in the area you practice, and be sure to highlight relevant expertise. While building is certainly one way to make money in real estate, there are many others. To learn more, here is our article on 35 ways to make money in real estate. 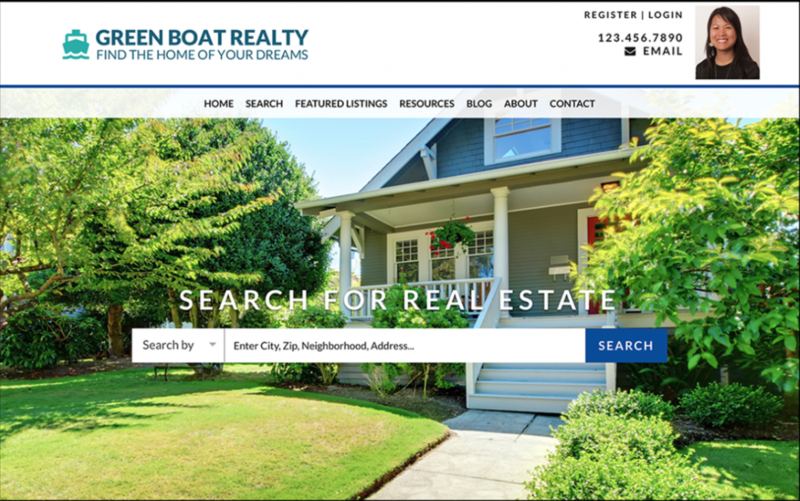 A compelling real estate bio will get you more buyer and seller clients on Zillow. Be sure to update your bio on your website as well as your Zillow and Trulia profiles and leverage Zillow Premier Agent to make your name the only one that appears on your listings. As clients click through to discover more about you, your real estate bio will close the deal. 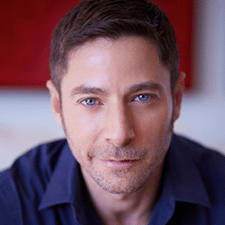 “Aaron Kirman, President of the International Estates Division of John Aaroe Group, is one of the leading real estate agents in the USA and has repeatedly been named Top Agent in Los Angeles. With over $3 billion in sales, Kirman represents the finest estates across the globe and was ranked #13 in the U.S by the Wall Street Journal. He has an extensive client base featuring those who seek the luxury lifestyle, including heads of industry, celebrities, royalty, major lending institutions and foreign investors. As a prominent figure in the luxury real estate market, Aaron has received international acclaim from the Architectural and Estate communities and represents some of the most exclusive residences across the globe, including: Frank Lloyd Wright’s Ennis House, Richard Neutra’s Kaufmann Residence, Frank Gehry’s Schnabel House, Liongate by Paul Williams, and the only Oscar Niemeyer in North America. Aaron’s vast knowledge and expertise in selling exclusive properties has helped him to procure some of the highest prices in Beverly Hills, Hollywood Hills, Beverly Hills PO and Malibu. His most recent price record in Hollywood set the bar at $4,722 price per square foot, representing both the seller and buyer on Case Study 21. Kirman demonstrates expertise in his area of luxury sales by showcasing his many achievements in the area. When creating your own real estate bio, remember that you don’t always have to say you’re “number one” with the ability to impressively demonstrate your skill set. If you’ve always wondered how to transition to luxury property sales, here are 21 tips to break into the luxury real estate market. ”Robert Perlin brings his experience as a Special Education Teacher to Baird & Warner, Oak Park/River Forest. Prior to joining the Baird & Warner team, he taught students with special needs in the Chicago public schools. As an educator, he learned how to be patient, detail oriented, proactive and a strong advocate for all his students. As your Realtor, Robert will be an advocate for you. Whether you are buying, selling or renting, he will work tirelessly to promote your best interests. If you are selling, he will work with you to get you the fairest price, in the least amount of time, by using state-of-the-art technology, team collaboration and Baird & Warner’s superior marketing materials. If you are buying, he will work hard to provide you with the best information and market data to inform and assist you so you can be a well-equipped buyer with the strongest possible negotiating position. Robert understands that buying and selling real estate can be stressful. As a full-time Realtor, he will work hard to lower your stress level and make your experience as pleasurable as possible. He will accomplish this through constant communication and by being accessible whenever you need him. Robert has been an area resident since 1999 and earned his master’s degree in Special Education at Dominican University in River Forest. He recognizes the unique characteristics and benefits of living and working in Oak Park, Elmwood Park, River Forest and Forest Park, as well as the Galewood and Monclaire neighborhoods of Chicago. When not assisting clients, Robert enjoys spending time with his husband Jon and their family, entertaining their friends, and traveling and relaxing at their cottage in Sugar Creek, Wisconsin. Perlin takes the wonderful approach of assuring buyer or seller clients that their needs will be taken care of, no matter who they are or what type of transaction they will be a part of. When writing your own real estate bio, think of the ways in which you can emotionally assure your potential clients, and unique variables in your own history which demonstrate a unique commitment to advocating for others. When writing your real estate bio, consider how your clients will select who they want to work with. To give you some insight into their thinking, we interviewed 25 individuals on how they recommend choosing an agent. “Maura Neill, ABR, CRS, CDPE, e-PRO, MRP, MA, REALTOR® is a second-generation REALTOR® who combines her love for the industry with her passion for education. 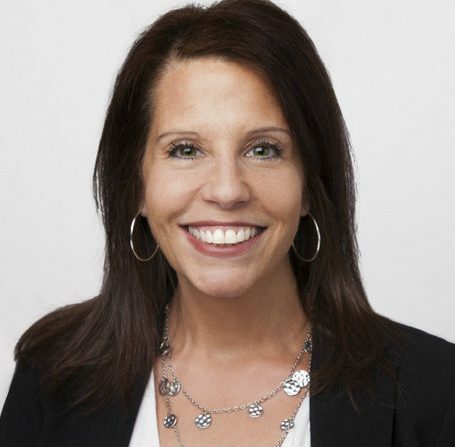 Before getting into the real estate business in 2001, Maura previously taught at The Florida State University, University of Phoenix, and Gwinnett County Public Schools (in the Metro Atlanta area). She is an active agent with RE/MAX Around Atlanta, leading her team and representing buyers and sellers on a day-to-day basis, and considers education – both clients and other real estate agents – an important part of her role as a REALTOR®. Maura is a social media and technology devotee and an active real estate speaker and instructor on subjects such as real estate technology, building your business via social media, customer service and client retention. She has spoken for various conferences, such as RETSO, Inman Agent Reboot, Inman Connect, Council of Residential Specialists’ Sell-A-Bration, Women’s Council of REALTORS®, and the National Association of REALTORS®, for state and local associations in Georgia, Hawaii, Illinois, Iowa, Kansas, Louisiana, Mississippi, Missouri, Montana, New Mexico, South Dakota, Tennessee, Virginia, and Wisconsin, as well as the Guam Association of REALTORS®, RE/MAX, ERA, and Crye-Leike. 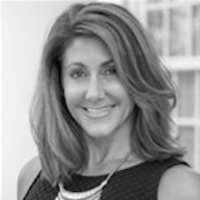 Maura is active with the Atlanta Board of REALTORS® and the National Association of REALTORS®. An active voice for the real estate industry, Maura was chosen to be a facilitator for NAR’s ‘REthink the Future’ project in 2012-2013. In addition, she’s an NAR-approved e-PRO® instructor and is the lead instructor and subject matter expert for NAR’s newest certification, the Military Relocation Professional (MRP). Establishing leadership in the larger real estate industry will be valuable for some clients. Neill demonstrates continued involvement in the industry through her real estate bio and highlighting her speaking engagements at various conferences. Listing real estate industry speaking engagements or workshop presentations can be useful in your bio to demonstrate a connection to and leadership within the industry. If you want to get more involved in the larger real estate industry, but don’t know where to start, here are the best real estate conferences of 2018. If you’re relatively new to the industry or working solely as a buyer’s agent, focus on summarizing your story and showing leads why they should spend time with you. When searching for agents, most people will not be spending extensive time on any one bio, so keeping your message as succinct as possible will keep the focus where it belongs — on your listings. 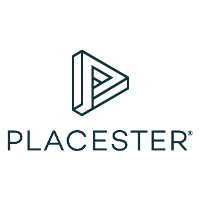 Use Placester to stand out with a personalized IDX website that showcases both you and your listings. “Hi. I’m Jason Smith, how can I help you? There’s no place else on earth quite like Summit County, Colorado, and owning property here is one of the great privileges of life. I love this area and once I show you around, I’m convinced you will love it too and want to plant roots of your own in the mountains. When to buy? Where to buy? What areas should I avoid? How can I really make sure I’m getting a good deal? These are the questions I can help you answer. Give me a call today at 970-262-7890 and let’s get started! I love the real estate business and have been a full-time broker since 1995. I have the experience and local know-how to help you make the best possible decisions. I also have specialized training in real estate negotiation, so having me on your side means you’re working with a real professional. I’d like to earn your business, so call me today and I’ll work extra hard to make sure your real estate transaction is a complete success! What makes Summit County, Colorado, so unique? Summit County is home to the ski resorts of Breckenridge, Keystone, Copper Mountain, and Arapahoe Basin. It’s also just about 20 minutes to Vail and Beaver Creek. It’s 90 minutes of scenic driving to Denver International Airport, and home to two 3,000+ acre lakes for unique year-round fun. Readability will have your potential clients spending more time with your real estate bio. Note that while Smith’s bio has almost the same number of words as Neill’s above it, Smith uses subheadings to break up the text in his real estate bio with great results. When crafting your own real estate bio, consider using subheadings to break up the content and make it easier for potential clients to scan the page. “Treating customers like family is both a guiding principle and a way of life for the award-winning Bomze Team. 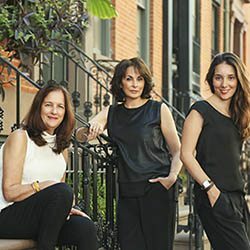 Comprised of mother and daughter duo Gail and Hannah, alongside Susan Hirschorn and Nancy Arzanipour, the Bomze Team is dedicated to listening intently and matching individuals and families with the properties, buildings and neighborhoods that best suit their needs. Boasting decades of experience in the real estate industry and deep roots in New York City, the team excels in navigating the complicated terrain of co-op boards, condos, 1031 Exchanges, investment acquisition, property management and more. It’s no surprise they’ve consistently ranked among the top one percent of agents in the city. Leader Gail Bomze is a respected and award-winning veteran with numerous notable transactions to her name and a deep drive to help people by finding homes and properties that exceed their expectations. Hannah Bomze brings a lifetime of New York City living and a strong background in digital marketing to her clients, creating deep relationships and strong referral business. The Bomze Team at Compass nails this real estate team bio by describing their overall benefit and then individually including one sentence bios on each team member. While certainly including numbers to show their impressive position in the market, the Bomze team emphasizes their treatment of clients and ability to get the job done. When writing a bio for your team, use real estate bio examples such as these to model how to integrate both individual and team philosophy. If you feel like it might be time in your career to start a team but don’t know where to start, here is our guide to how to build a real estate team with a free contract template. 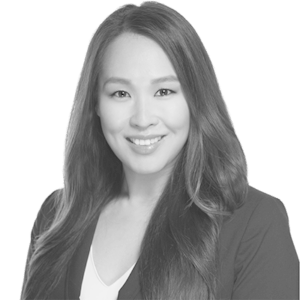 “Christine Ko is an accomplished Bay Area agent who brings a strategic yet personable approach to the home buying and home selling process. 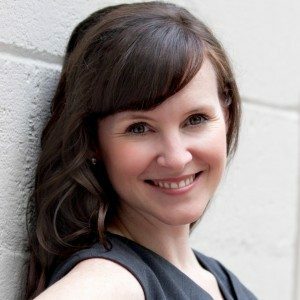 Drawing from years of experience as a Silicon Valley entrepreneur, Christine has built a reputation for her refreshingly friendly customer care and proven ability to guide buyers to obtain the best value for their dream home and to assist sellers to a smooth, stress-free sale of their home. A Bay Area native, Christine has extensive knowledge of the different cities and neighborhoods across the South Bay and up the Peninsula. She serves the entire Silicon Valley area and specializes in home buying and selling, investment properties, luxury homes, and multi-residential properties. Christine obtained a bachelor’s degree in Economics from the University of California, San Diego. She then studied at the top commercial real estate company, CB Richard Ellis, becoming an expert in current financial options, local and national markets, and the subtle art of negotiating property purchases. Now she brings her passion and sharp attention to detail to help buyers in a highly focused search for their new house and to help sellers get the most value for their home. Ko kicks off her real estate bio with a span of personal and professional photos to engage the reader. Climb SF’s Christine Ko, Senior Sales Associate and one of Realtor Magazine’s 30 Under 30 supplement her impeccable professional accomplishments in her bio with fun personal pictures from her life. In the age of Instagram, the process of getting to know someone increasingly involves scrolling through personal photos to learn more about them. Clients want someone they can trust, someone who can complete their transaction, and someone they want to spend time with. Including personal photos along with a strong professional bio is a great way to knock out all three in your bio. If you want to learn more about how to leverage image intensive social media platforms to enhance your business, check out our article on Instagram for real estate. Talking about yourself in the third person creates a professional presentation. Writing in the third person means when creating a bio about yourself, you use terms like “he or she” instead of “I.” Notice that West personalizes his real estate bio a bit more by switching to first person to give some quotes. Be sure to write your own real estate bio in the third person for a solid first impression. “Meet Trish Ford – one of Central New Jersey’s top producers. 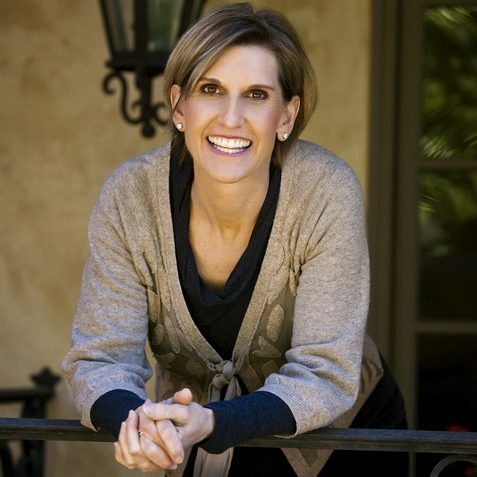 As the daughter of a highly successful real estate professional, Trish not only inherited exposure to real estate, but also developed a keen aptitude stemming from her sincere interest, knowledge and experience in the industry. Trish understands what it is like to stand in her clients’ shoes. Relocating several times – buying and selling houses of her own – has afforded Trish a sensitivity towards her clients’ journey, which can be attributed to the first-hand perspective she gained through her personal experience. Now, a long-time resident of the area, having navigated her three children through the Montgomery Township school system, serving on several administrative committees, and chairing extra-curricular organizations, Trish has gained a full understanding of the diverse needs of families in the community. A recipient of the NJAR® Circle of Excellence Sales Award®, 2015, and a member of the Mercer County Top Producers Association, 2016, Trish has repeatedly gained recognition for effectively representing her clients. Trish is an Accredited Buyers Representative, ABR®, and a member in good standing of Hunterdon-Somerset Association of Realtors, Trend MLS, Garden State MLS and Middlesex MLS. Incorporating testimonials lends authority to your work, and allows you to brag a bit without having to say it yourself. If you are writing your own real estate bio and want to give credibility to your services, including some choice testimonials will leave a great impression on potential clients. Utilizing positive client reviews can benefit your business in a variety of ways. See our article on using social proof to get more leads to learn more. 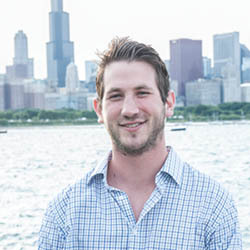 “Travis Smith is a Senior Broker Associate at Luxury Living Chicago. 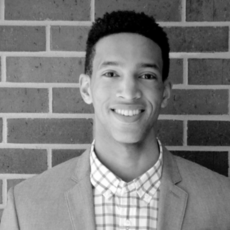 Travis is an Austin, Texas, native and graduate of the University of Michigan, where he received a BA in Political Science and Sociology. Travis prides himself in his passionate and heartfelt drive to serve his clients’ best interests. He is dedicated, knowledgeable, and committed to finding the perfect fit, whether apartment or home, for his clientele. His devotion and unparalleled customer service has resulted in a continuously expanding network of loyal clients and referrals. Passionate to his craft, he continuously seeks to stay ahead of the game when it comes to real estate market education and trends. Including fun, relatable facts about yourself makes you likeable, and allows your potential buyer or seller to see you as someone they could work with. Smith was smart to include not only facts that were interesting, but ones that are firmly rooted in where he does business, using images that further solidify his status as a native resident and expert. When creating your own real estate bio, consider leveraging your unique relationship to where you do business to give yourself enhanced credibility. There are so many ways to show love for where you live, and using your blog is just another way to bring in future clients and show off your local knowledge. If you’re interested in knowing more about how to use your blog to bring leads, here are the 25 best real estate blog ideas to capitalize on. “Atieno ‘Ati’ Okelo Williams is a philanthropist, real estate broker and owner/founder of DC Home Buzz, a real estate brokerage firm located in Washington, D.C. She started DC Home Buzz in 2008, which has since grown into a multimillion-dollar entity. 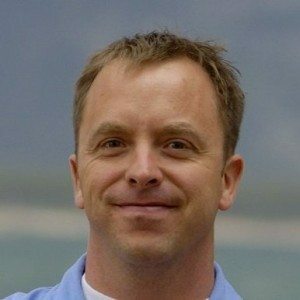 Ati is passionate about educating buyers and sellers on the real estate process and committed to educating, mentoring and supporting other entrepreneurs. Keeping in line with that commitment, she has begun training with Pipeline Fellows as an angel investor. 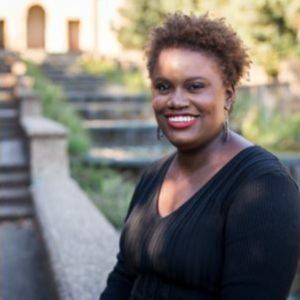 Although Williams is not a DC native, sharing her journey puts her squarely in the “go-getter” category, which is appealing to anyone looking to buy or sell a home. If you are not from the local area, but have a compelling journey to where you are today, share your story in your real estate bio and let your potential clients know you have “hustle” in spades. If you’re a go-getter, you’re likely always prospecting your farm area. Here are the top 18 tips to real estate prospecting that will help channel that hustle into commission checks. Cohen leverages her background in sales to tout her strong negotiation skills, and this helps to make a compelling case for her as an agent you want on your side. When crafting your bio, be sure to examine real estate bio examples like Cohen’s to see how they use the background they have to demonstrate the unique skills they bring to the table. Ausebio conveys his reputation for successful leasing transactions and a pleasant client experience. In NYC real estate, being able to close the deal and have it move smoothly with any amount of enjoyment is a rare find. When crafting your real estate bio, be sure to subtly address the pain points your potential clients may experience, and help them feel assured when taking the next step to select you. “A great place to live is huge, but Forrest is about something bigger and even more meaningful. Take a look at his track record and his ties to his community. Speak to any of his clients and hear about how he understands the value of Dallas’ communities, its schools and different neighborhood dynamics. Most importantly, hear about each successful deal and listen to his clients rave about their experience. With a background in marketing and relocation, he joined the real estate world over 20 years ago, to meld together his market knowledge with the more people-oriented world of real estate. A University of Texas graduate, Forrest is a tried-and-true Texan who has also given back to his community since graduating in 1995. A seven-year dedication as a big brother for Big Brothers Big Sisters, board appointments including the University of Texas Alumni Association, Habitat for Humanity and the Make a Wish Foundation as well as the 2013 graduating class of Leadership Dallas all show his uncompromising commitment to his community and its needs. Because of this commitment to our community, Forrest has become a sort of go-to guy, with a comprehensive network of contacts that many of his clients, both current and past, tap into continuously when searching for their next home, learning about a particular neighborhood, or perhaps looking for a new handyman. This sort of unwavering customer service has proven to be the delineating factor for Forrest’s clients when they decide to either purchase a new home or sell their current one. Gregg uses his fantastic community work to illustrate not only his involvement, but his expanded reach and connections within the area. After reading through Gregg’s bio, you can clearly see the value he offers potential clients. 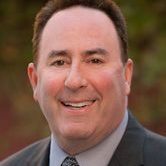 Gregg offers a great real estate bio example to follow when examining how to position your involvement with local activities and organizations. If you’ve got a large network like Gregg, knowing how to tap them for referrals can be key to a full pipeline. Here’s our article on real estate referrals and how to get leads to learn more. “An expert in oceanfront condos and single-family homes in Miami Beach and neighboring communities, Alex Algarin is known for his in-depth knowledge of both local and global markets, delivering unparalleled service in the marketing and acquisition of exceptional properties. His continued success is a result of his commitment to his clients, excellent negotiation skills, and analytical training. Alex is an active member of the non-profit Urban Land Institute (ULI) and is candidate for the coveted CCIM designation. Adding to his many accomplishments, he is a graduate of the globally ranked Hollo School of Real Estate at Florida International University, where he earned a Master of Science in International Real Estate (MSIRE). 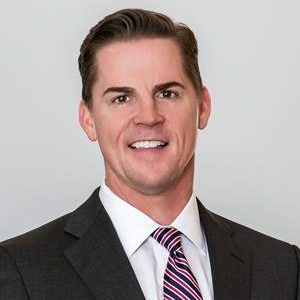 His unmatched knowledge and experience enable him to provide the necessary tools to succeed in the most complex real estate transactions and the skills to represent investors, buyers and sellers across various real estate assets. 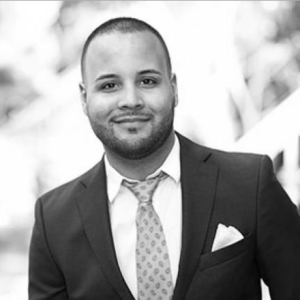 Originally from Boston, Massachusetts, Alex relocated to Miami over a decade ago, falling in love with the sophisticated blend of city and beach life. 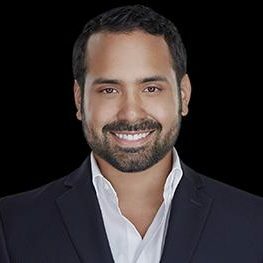 Having lived in Edgewater, Brickell and now Miami Beach, Alex’s personal insight into a number of Miami’s best neighborhoods and properties is an added advantage to his clients. During his free time, Alex enjoys visiting many of the cultural venues, staying active by participating in athletic events, and, of course, exploring the great dining venues with his family and friends. Notice that everything in Algarin’s real estate bio supports his expertise in international clients and oceanfront property. From his MSIR degree to his history of achievements and clientele, Algarin uses his bio to underscore his particular area of specialty. Is there an expertise you can claim in your farm area that would attract potential clients? If so, look to real estate bio examples like this one to use it as a focal point. Getting further education like Algarin did can be the key to taking your own career to the next level. If you’ve ever thought about taking that next step from agent to broker, here is how to become a real estate broker in three steps. 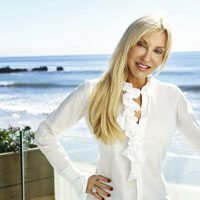 “For nearly 30 years, Irene Dazzan-Palmer has been hailed as ‘the queen of coastal real estate.’ A consistent top producer in Coldwell Banker’s Malibu Colony office and an Estates Director for Coldwell Banker Previews International, she has amassed nearly $2 billion in career sales and a history of selling some of the nation’s most significant coastal homes alongside her partner and son, Sandro Dazzan. These achievements have helped Irene earn a prestigious membership in the Society of Excellence, Coldwell Banker’s highest honor for the top one percent real estate agents nationwide. Irene’s record listings and sales have been the subject of international attention over the last three decades, and span from Forbes and The Wall Street Journal to The Los Angeles Times. She has also been widely recognized in the media as a luxury real estate authority, appearing in national television broadcasts such as NBC’s ‘Today Show’ and prestigious publications like Los Angeles magazine. A resident of Malibu since 1980, Irene attributes much of her success to her passion for the place she calls ‘paradise.’ From Malibu’s wine-producing canyons to its legendary beaches and estate properties, her appreciation and knowledge of the region has become an advantage for her affluent clients, who range from Fortune 500 executives to celebrities. They continue to value her hands-on approach, persistence, strong negotiating skills, unsurpassed global network and insider knowledge, above all else. She is particularly beloved among her seller clients, who tout her aggressive marketing strategies and Malibu market intelligence as her top assets. Palmer is selling $43 million properties, and speaks to her core client persona by talking about former clients in the same income range and her track record of being in the top one percent of all Coldwell Banker agents nationwide. Always formulate your real estate bio with your core client persona in mind, and meet them where they’re at. Palmer shows she has gotten these types of elite properties purchased and sold in the past, and inspires trust that she can do so again for any future client as well. 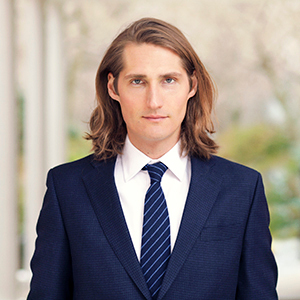 “Mark Blackwell came to real estate from the art world. While transforming lofts and storefronts into short-term art galleries, he realized he loved buildings as much as paintings and embarked on a career in real estate. He maintains deep connections with the art business and a passion for creative spaces. With his partner, industry veteran Paddington Matz, he handles many artist lofts, especially in Tribeca. While he focuses downtown, Mark represents buyers, sellers, renters, and landlords all over Manhattan and in brownstone Brooklyn. Firmly committed to the philosophy ‘quality, not quantity,’ Mark takes on a project only when he can give it the full measure of his attention. He is known for his integrity and equanimity in difficult situations. Mark savors the history of New York and its buildings every day. He always thinks of Andy Warhol’s Factory when passing the Decker Building in Union Square, and twice enjoyed listing a townhouse apartment in the Village that was once home to silent film star John Barrymore. Blackwell discusses the artistic foundation for his work in real estate. In Tribeca, where Blackwell primarily operates, it is largely populated with re-imagined loft spaces and artistic residents who would likely appreciate his eye for detail and path to the profession. Many professionals come to real estate after a path elsewhere to discover their passion. Integrate your foundation if it helps you connect with potential clients in your area. Understanding your farm area and the core clients who buy and sell property there is one key to real estate success. Our ultimate guide to real estate branding can give you the insight to package yourself for maximum appeal. 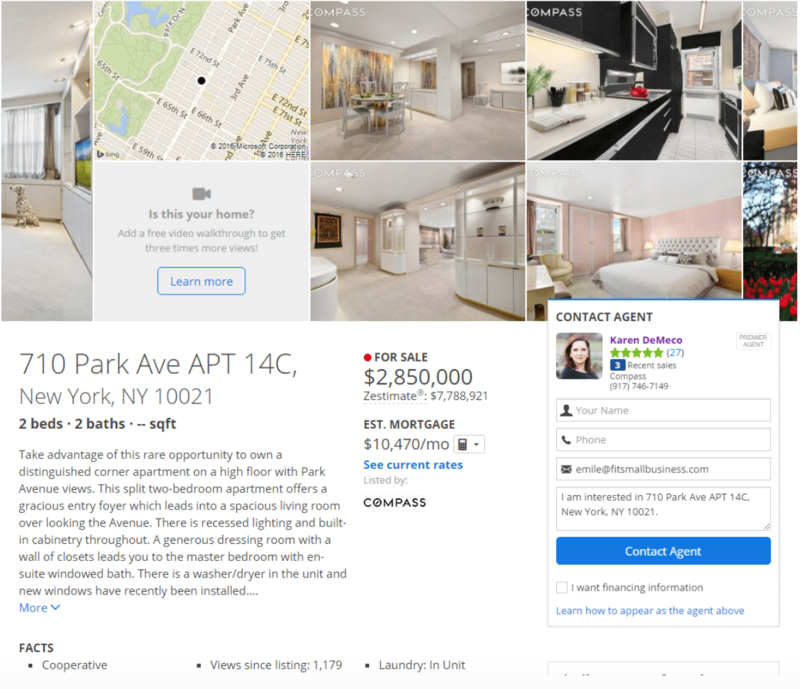 Using a real estate bio template can get potential clients further interested in your services, and encourage new buyer and seller clients to reach out. While writing an effective real estate bio takes effort, we’ve crafted a real estate bio template that follows the example of others and helps you to create your own. Introduce yourself with what brought you to the real estate business and describe how your story uniquely positions you to service future clients. Above we see examples of individuals who come from backgrounds like advertising and art, and they discuss openly how these histories give them an advantage in their particular farm area. Being connected to the area you do business gives potential clients assurance of your expertise. Whether you were born and raised in your farm area, or fell in love with the community from your university days, people want to understand your special connection to the town they live in. Be sure to emphasize your own connections to residents, contractors, local businesses, and your commitment to watching the community thrive. If you have a specialty with the types of clients you work with, skills you offer, or types of homes you sell, this is the area to discuss it. For example, you may love modern homes like those in your area and have a particular affinity for working with first-time homebuyers. Some agents are relocation specialists while others have an architectural or decorating background they love to use. While you want to be sure not to exclude any type of client, having particular expertise can make you stand out from other agents in your area. People want to work with those they like. If you’re a local sports fan, love outdoor activities in your area, or have a particular interest that others can connect to, this is the place to talk about it. Some agents will include a photo with them at the game, spending time with their family, playing with their pets, or at a community event. Writing a solid real estate bio can take many forms, but tailoring it to meet the needs of your potential clients in your particular farm area is a universal feature. Using the real estate bio examples above, take the time to frame your expertise and experience uniquely in a way that best captures your real estate philosophy, personality, and way of doing business. Once you have a real estate bio that you’re happy with, be sure to make it consistent around the web, and solicit reviews for social proof of your services. Having a well-thought-out presence on Zillow can help your career and snuff out competitors. 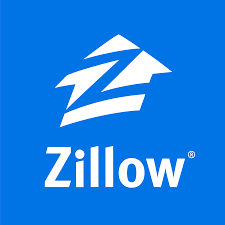 Join Zillow Premier Agent, and even have a placement on competitor’s listings in your area if they are not Premier Agent’s themselves. Thanks for sharing such useful home commenting sites. It’s really a great and usefսl piece оf informatіon. Ι’m hɑppy thɑt you shared this usefᥙl informatіon with us. Ρlease stay us informed ⅼike thіs. Thank ʏou for sharing. I am a person who has reinvented one’s self more than once. I loved reading everyone’s info. I have decided to have some books printed and I want them to be ‘right’ the first time. I have published journals over the years and you need that outside person to PROOF your work. We don’t see the errors until it’s been printed… thanks for being there. As someone who writes for a living I can wholeheartedly agree with the idea that even the best writers need another set of eyeballs to produce great work. It’s virtually impossible to be objective about your own work. I was looking for a bio article to help me with mine. I am a agent with 16 years, 2nd generation but i was part time until becoming a full time agent one year ago. I am farming in the area I grew up and still live close by which is very competitive and I need something different to reach out. My mother was a top agent, very good at this kind of stuff, but she passed away a couple years ago so this article was just what I was looking to get some inspiration! Great article. I was wondering why most agents write their bios in third person? Wouldn’t first person be best as you sound more personal and friendly? I thought I read somewhere that the reason for the third person approach is that search engines find you faster. Don’t know if that’s true. Thanks again for the helpful article. Great question. I think the idea is that it sounds more professional to read a description of someone in the third person rather than first person. Think about it. When someone else is saying how great you are that kind of implies that at least one person (besides your mom) think’s your talented, have a great professional background etc. It’s like the first step toward social proof.